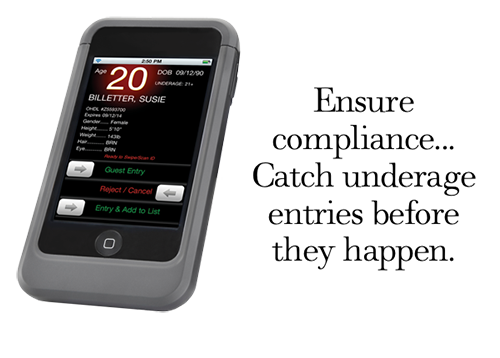 Bouncer : The best way for Bars, Nightclubs, Restaurants to keep track of your guests! 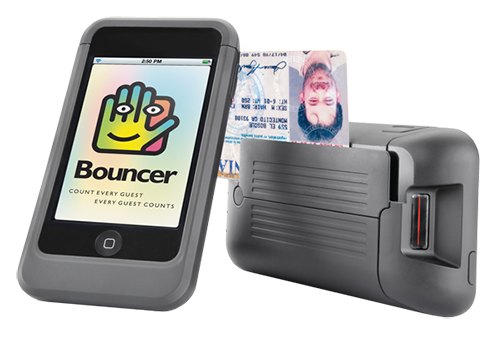 With BouncerApp and your iPod Touch 4th Generation or there has never been a quicker of easier way to count your guests, track your VIPs and virtually eliminate fake ID's and underage entries. 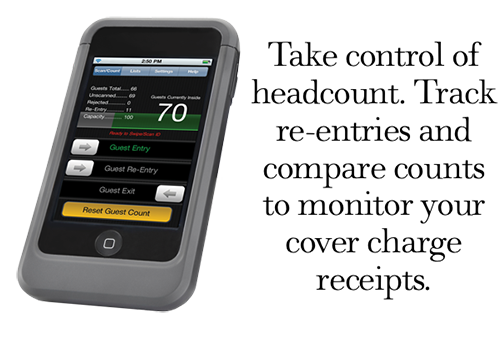 Working in conjuncture with the amazing Honeywell Captuvo SL22 series enterprise sled, youll learn more about your guests than you probably should! Adding a BouncerOnline subscription gives you new insights into your guests by tracking demographics (What sort of guests visit on certain days? Where are they from? How old are they? ), sharing and syncing BouncerApp data on multiple devices, online guest list management, Excel compatibility and so much more. 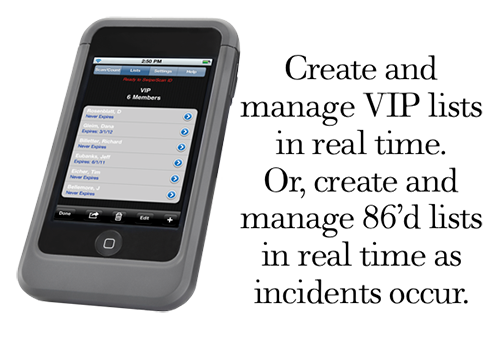 iPod Touch 4th Generation required for use with the Captuvo Enterprise Sled. Apple, iOS, iPhone, iPad, iPod, App Store, Captuvo Enterprise Sled, and Oracle are registered trademarks of their respective owners. © 2013 Barkeep. All Rights Reserved. 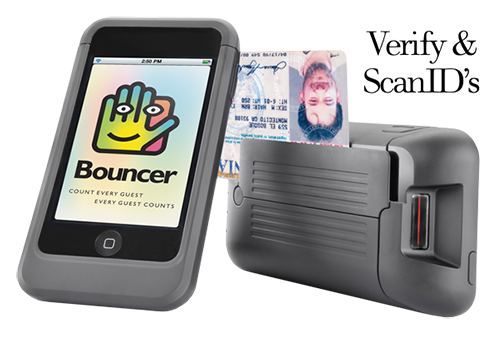 The Bouncer Name and Logo are Trademarks.